There is complimentary valet available for parking. Let us bring your bring your favorite Chauhan food to you! We offer office lunch catering with menus starting at $12 per person including 2 curry dishes, basmati rice, naan and a salad - you can't beat it! You can access the menu and place an order through the inquiry form on our website: chauhannashville.com/private-events-catering/ or you can email us: events@chauhannashville.com. We can also create custom menus for evening events and wedding receptions! Chauhan Ale and Masala House is a highly acclaimed celebrity chef driven restaurant and bar. 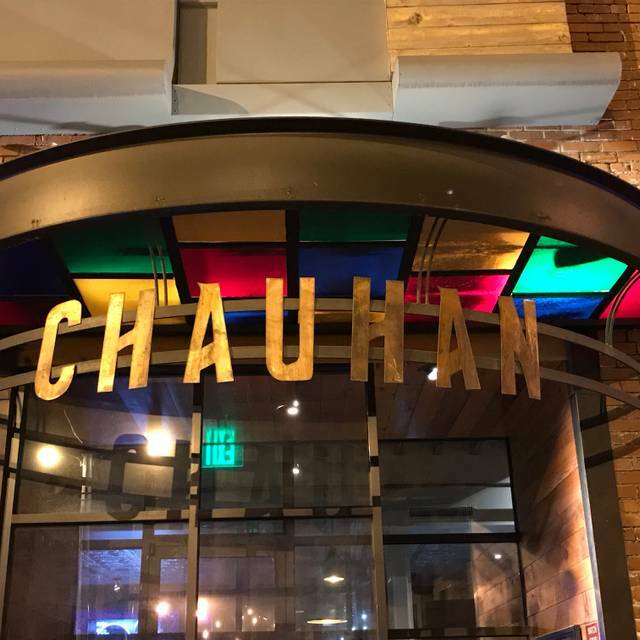 Chauhan has been rated one of Nashville's hottest destinations by several noteworthy publications including eater.com. 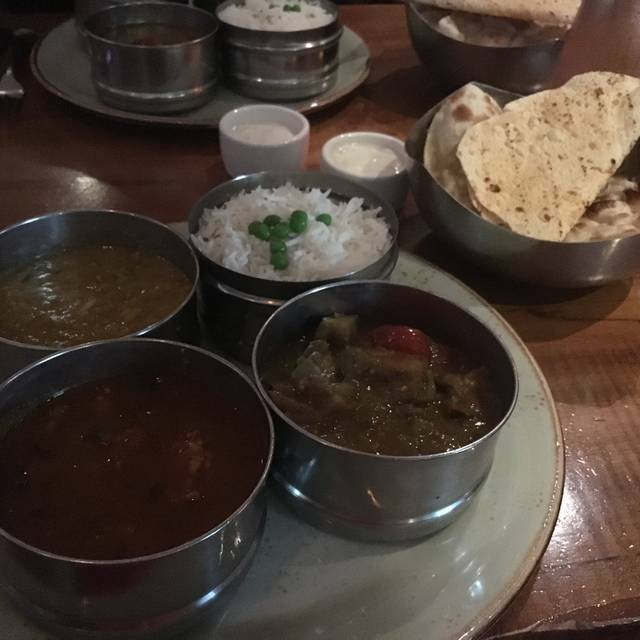 The menu, along with a traditional section of indian cuisine, also reflects the innovative approach of Chef Maneet Chauhan with global and local menu items done with an exceptional indian flair. For vegetarians, there are ample selections and even a separate dedicated menu. There are creative signature beers and ales crafted specifically for this warm, inviting and rustic yet modern restaurant. The cocktails are fun, potent and well balanced and the wine list offers small, boutique and uncomplicated selections. This venture in the downtown / Gulch area of Nashville is open for dinner, lunch and Sunday Brunch. 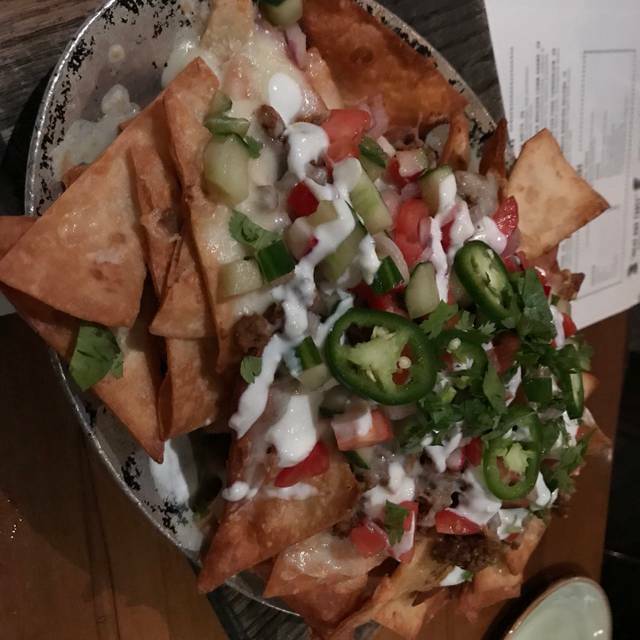 Happy Hour: Monday- Thursday from 5-6:30 PM, enjoy $6 bar bites & drinks for $5-$7. Thanks for joining us for Mother's Day! We are excited to offer our full menu as well as some exciting Brunch and Dinner Specials. Please note our cancellation policy, as this is an extremely busy day for the restaurant and space is extremely limited. Thanks much and we look forward to seeing you! Thanks for joining us for Father's Day! We are excited to offer our full menu as well as some exciting Brunch and Dinner Specials. Please note our cancellation policy, as this is an extremely busy day for the restaurant and space is extremely limited. Thanks much and we look forward to seeing you! Thanks for joining us for Easter Day! We are excited to offer our full menu as well as some exciting Brunch and Dinner Specials. Please note our cancellation policy, as this is an extremely busy day for the restaurant and space is extremely limited. Thanks much and we look forward to seeing you! Went on a Tuesday evening, no wait time. Host was very kind and we were sat immediately. Waitress was very helpful explaining everything (I had no clue what some words on the menu were), and she was excellent at helping us decide what meals to get. Beers were very good - I got a flight of the beers made in house and all were delicious. Food was served quickly, hot, and insanely full of flavor. Bright colors, fresh ingredients, and a wonderful atmosphere made this dinner fantastic. Made me think about moving to Nashville so I could eat this more often! The service, kindness and consideration shown by the waitstaff was outstanding. I need more stars! My children and I have a serious allergy to onions, and the wait staff takes it seriously and recommends dishes without onions. Even though this allergy limits the dishes we are able to try, the selections we have had are outstanding. It is one of our favorite places. Wonderful Indian fusion. Great flavor, great knowledge service. I love Chauhan Ale & Masala House. I can always find something interesting to round out my favorites. And the cocktails are so imaginative and delicious! I've tried every time of day and have never been disappointed in either the food or the service. Took a friend who loves spicy food and he found just what he wanted for brunch (and added some hot sauce to it!). Tansuo and Chaatable are wonderful too. Haven't tried Mockingbird yet but am sure it is equally as good. Delicious, very thoughtful flavors and arrangement. I wish I lived closer to this place! Will definitely be back here next time I fly into town. As always, fantastic food and service! 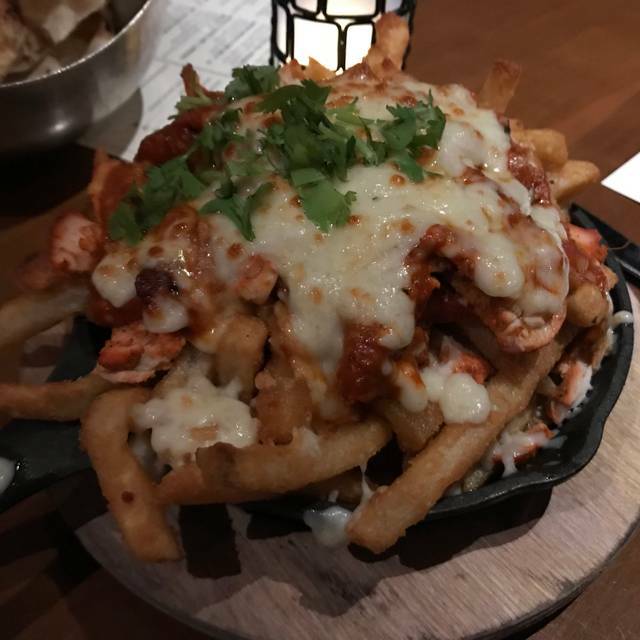 We had Tandoori Chicken Poutine and Calamari for appetizers. The poutine was wonderful. Flavorful with well cooked fries and tender chicken. The calamari was tasty, but clearly overcooked in my opinion. Some pieces you would eat and feel like the meat had been cooked to the point it was indistinguishable from the breading. My wife had the Cioppino and I had a steak. The Cioppino was very tasty with really good pieces of seafood in the preparation. My steak was tasty but too tough and overcooked. I would come back, but won’t be a regular. I’d recommend coming in for appetizers and drinks. They had several that sounded great and I’d like to try some others we didn’t get around to order on this trip. Always interesting food...always delicious food. On this visit the service was a little spotty. But we've eaten here many times and we are never disappointed. 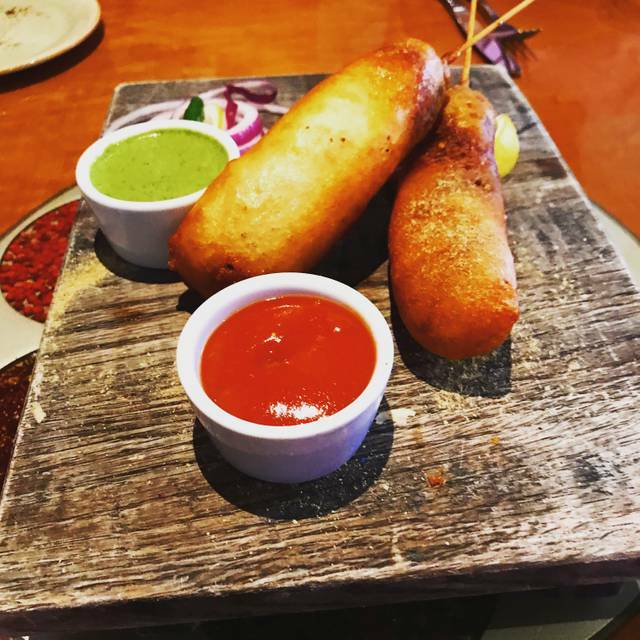 A mix of Indian food and Indian fusion, there really is something for everyone. Best Indian food you will find in this area. Traditional and creative options. Great quality of food. Loved it. Will definitely return when in Nashville again. Great food. I had the lamb shank which was delicious. My wife had the chippino which was a little spicy for her taste; however, I found it excellent. Excellent service and unbelievable food. The Goan mussels we're so good my wife took home the curry after we devoured the mussels. The skirt steak was tender and perfectly cooked and the Saffron IPA was a perfect compliment. One of our favorite restaurants in Nashville. Food was great! Fusion dishes were fantastic. We will be back. Fantastic experience: food, drinks, people were all incredible!! Everyone was pleasant and accommodating. The ambiance of the space would be great for anything from a date to a business dinner! The food was very tasty and the touches made to the traditional dishes was spot on. 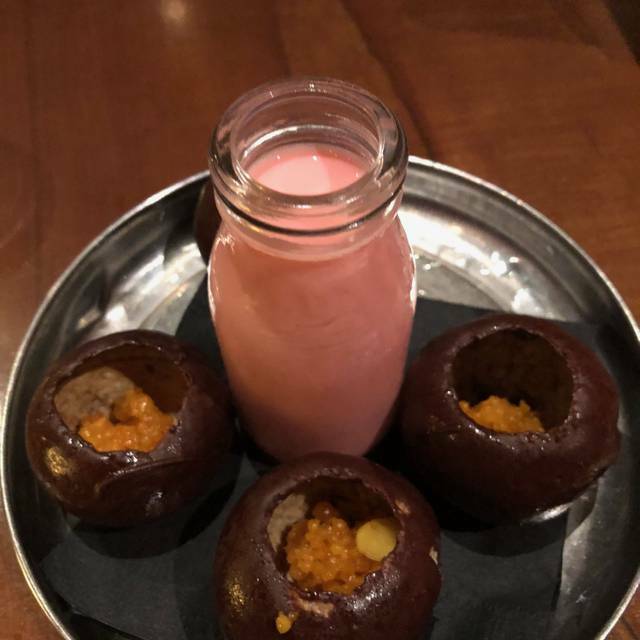 Very unique- we love the food! Our first time for brunch - we all enjoy our choices. Although decor, food, and service was great, the restaurant was simply too noisy! We had a party of 4 and we were literally screaming at each other to be heard. The bar area needs to be separated from the restaurant. Wonderful place! Enjoyed every cultural aspect from tastes to music to ambiance. Enjoyed the idea of sharing pots. Fantastic experience all around. The food far exceeded my expectations. We loved everything about it. Brunch didn’t feel “brunchy” ( I mean that as a compliment). Great food, great drinks, great service. The wait staff was very helpful and flexible with our order and timing. He made good recommendations. The meal was exciting and delicious-not too spicy, layered flavors and great textures. Great restaurant to bring out of town visitors to Nashville to experience! The foos was wonderful. Our server, Jasmine, was kind and talkative and gave good recommendations. We’ve been there so many times for lunch/dinner. But it was our first brunch and it was simply delicious! Their spin on chicken & waffles is so good! And my daughter loved her bread pakoras with extra chaat masala! My choke/kulcha was finger licking good!! Oh and the cocktail (their version of the Moscow mule) was perfect!! Excellent food with great service and atmosphere. Have been there many times and enjoy each visit. As always, dinner here was an amazing experience. Every bite was exceptional. The table side chaat was wonderful and the service was stellar. I’ve never had anything less than a 5 star experience at Chauhan and would recommend it to everyone. 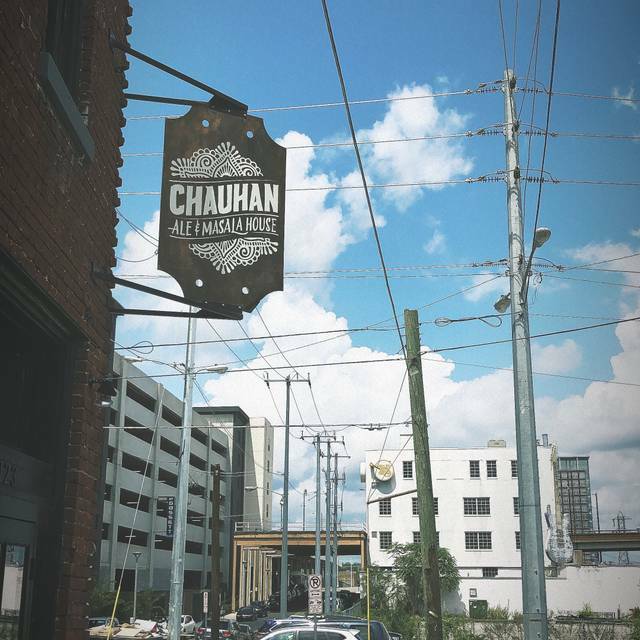 We were visiting Nashville for a few days and received several recommendations for Chauhuan Ale and it did not disappoint! The portions were good sized (both appetizers and entrees) and everything was so flavorful. We will definitely come back (and recommend this place to friends)! The food and service were fantastic! I've not stopped talking about this experience to everyone I've seen the past two days. 2nd visit - this one w/friends here from out of town. Cocktails came, but they gave me the wrong drink, realized it just as I was about to drink it and then wandered off to another table with the fourth drink for our table...and then returned...odd. Found the service overall to be really off. Two apps: the Kale and the Naan with spreads - but no plates or silverware delivered. Naan was cold. Bread app is 7 containers of butters and spreads. 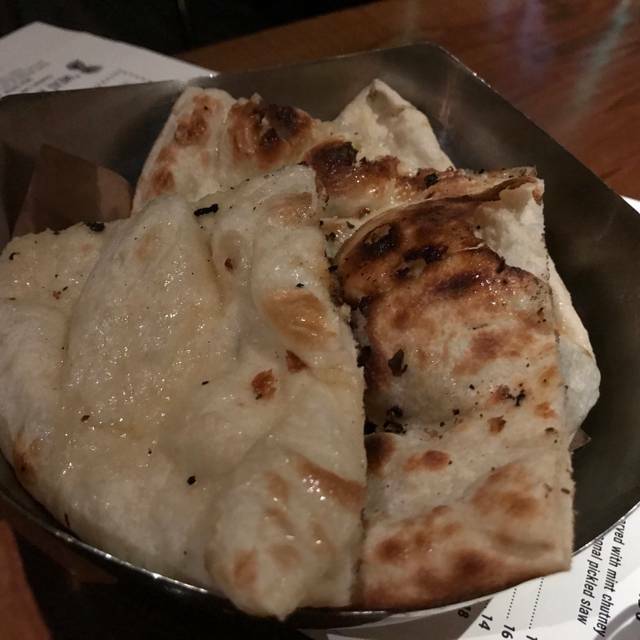 One order of naan was four quarters of what was a 10" round. Luckily our server recommended we get two orders! Tip: give bread enough to eat all the appetizer! Provide a small knife or spoon for each of the 7 condiments so you do not cross contaminate while trying them all. Come on! Both apps were full of flavor and really delicious. 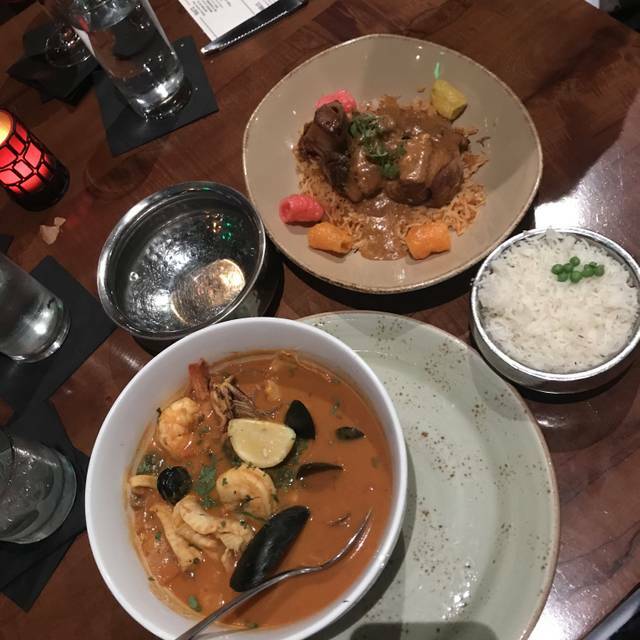 For my main, I had super yummy shrimp in coconut curry, and I was not able to finish it all, and requested it be packaged to go, and our waitress forgot. Twice during the meal we ran out of water. The food was yummy, but the poor service really took away from our experience being as good as we had hoped. Will recommend this place to all of my friends. I would enjoy some somadas on the menu the beer was good and thought the drinks were creative. The masala French fry appetizer and salmon skewer were both fantastic. Nice ambiance - quiet (went on the earlier side) - a little off the beaten path but worth it. Can’t wait to try more of the menu options on our next visit. Everything was great! The most amazing food and a great ambiance!